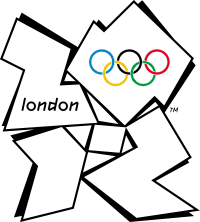 The BBC reports Google admitted to profiting from selling ads to scammers selling illegal and fake Olympics tickets for the summer 2012 Olympics. The report says that Google "keeps any money it might make from companies advertising illegal services before such adverts are removed." Google did remove the ads after the BBC reported them to Google. But that money stays in Google's pockets. In short, the scammers pay Google to place the ads on the Google search results or Google content network. Google takes a per click fee on each ad click. Google then was notified the ads were a scam and removed them. Google is not returning that money back to the scammers. Selling fake tickets to the Olympics is a criminal offense, but was Google selling them? If they were not, should they give money back to the criminals? It would be nice if they gave some of those funds to those who were scammed but honestly, I wouldn't expect that from them.